This is great, Fantasy Map Generator ~ Business Intelligence y Big Data: ¡Aprende Gratis sobre Analytics! It is a Fantasy Map Generator based on D3 Voronoi diagram rendered to scalable svg. 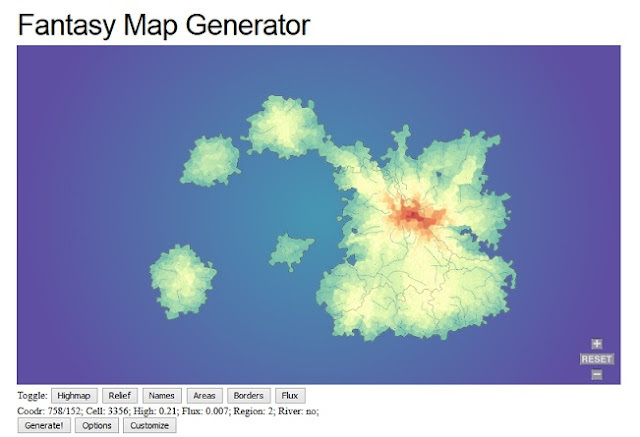 Use random to genarate the map with default options, customize to make your own shape. Project goal is to create a procedural generated map for my Medieval Dinasty game simulator. So a map should be interactive, fast and plausible-looking. The easiest way is to generate Isles that will have enought place to locate at least 500 manors within 7 cultural areas. The imagined area is about 20.000 km2 (like Wales shaped as Isles of Scilly).